“The Exile” and story collection “winter evenings” to his kitty. 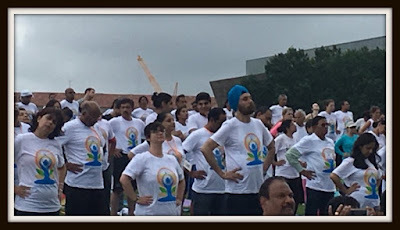 In the run-up to the Wednesday’s big Yoga day, Indian diplomats located around the world have joined thousands of Yoga enthusiasts to perform various asanas. The Indian missions have organized those pre-Yoga Day events. Meanwhile, India's Ambassador and Permanent Representative to the United Nations Syed Akbaruddin have posted a couple of photos, the first one with this caption: “Yoga lights up @UN. Here's a sneak peek of the iconic UN Headquarters building being lit up like never before for International Day of Yoga”. He then tweeted yet another photo — this one with someone seen only from the backside. “Yoga lights up @UN. Guess who switched the illumination lights to commemorate Yoga Day celebrations?”. No prize for guessing! It was cine actor Anupam Kher who illuminated the United Nations building. 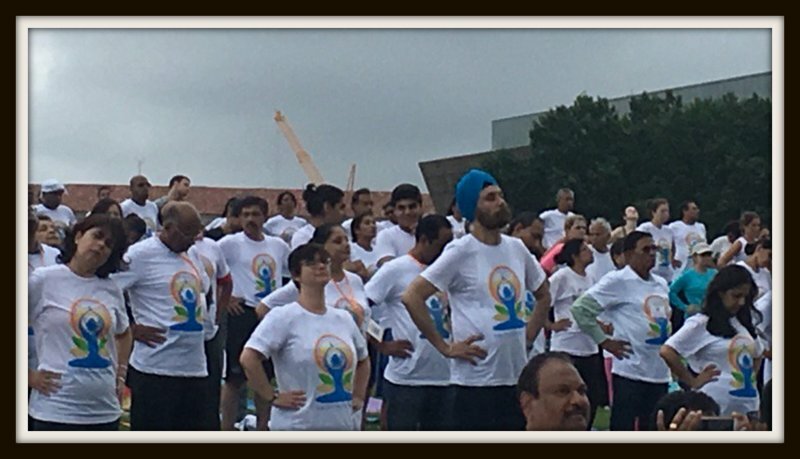 On Sunday -- the day India and Pakistan cricket team clashed in London for the ICC Champions Trophy which was eventually won by Pakistan -- Indian High Commission in Pakistan celebrated the International Day of Yoga with attendance of a large number of Yoga enthusiasts. The Yoga session was led by Indian High Commissioner to Pakistan and 1984 batch Indian Foreign Service officer Gautam Bambawale. On Sunday, Yoga was also celebrated in Millennium Wheel, often knows as London Eye. It’s a giant wheel located on the south bank of the river Thames in the heart of London city. Meanwhile, Chinese Yoga enthusiasts too participated in pre-Yoga Day sessions in various Chinese cities. According to reports, about 100 Chinese participated at a Yoga session in Wenzhou, which has become the sixth Chinese city to celebrate Yoga.